A group of parents of children with developmental disabilities created Resident Home Corporation (RHC) in 1963 to meet the educational needs of their children. A gift from the Pfau Foundation will provide enhanced therapeutic services for five children and help the Resident Home Corporation build the administrative capacity of its Wellness Education Center and earn approval from the Commission on Accreditation of Rehabilitation Facilities. St. Aloysius School Based Mental Health Services provide a skilled and experienced community of staff members and professionals to work with families as a whole to address the metal health needs of youth. Services are provided where most mental health needs are often identified, at school. A gift from the Pfau Foundation will help St. Aloysius fund additional staff and expand the reach of its school-based programs. St. Joseph Orphanage is a comprehensive children's mental health, educational, and residential treatment agency that helps abused, cognitively challenged, and/or emotionally disturbed children and their families. A gift from the Pfau Foundation will help fund a new building addition on the Altercrest Campus. The addition enhances the services of the orphanage’s Altercrest Community Transition Program and Altercrest Specialized Advancement Program. One in every 150 children in the nation is diagnosed with Autism. As the community struggles to learn best practices to help children on the autism spectrum—as well as those with other disabilities—Stepping Stones remains a community-based resource to assist families and youth of all levels of ability. A gift from the Pfau Foundation will be used to improve Stepping Stones’ programs targeting toddlers and preschoolers. Camp Korelitz, sponsored by the American Diabetes Association, challenges children with diabetes to adopt and master lasting techniques to help them manage their illness. The week-long camp is managed by Cincinnati Children’s Hospital Medical Center physicians and nurses. A gift from the Pfau Foundation will help support operation of the camp. Beech Acres Parenting Center serves families and seeks to enhance and strengthen caregiver-child relationships. The Parent Child Interactive Therapy is a model used at the center to improve relationships and cultivate positive behavior among children who have experience behavioral problems, suffered the loss of an adult, or suffered a traumatic event or abuse. A gift from the Pfau Foundation will support the Child Interactive Therapy program. Boys and Girls Clubs of Hamilton, Inc. The Boys and Girls Club of Hamilton and its Youth Alliance partners have helped transform unused city-owned space into a fully functioning outdoor sports area, with tennis courts, baseball field, and playground. The sports area will host activities and programs for 10 local schools, including Miami University. A gift from the Pfau Foundation will help fund a part-time supervisor for the Hamilton Youth Alliance Outdoor Sports Program. Cancer Family Care strengthens the well-being and helps ease the suffering of children, adults, and families coping with cancer. A gift from the Pfau Foundation will support the Strength for the Journey Capital Campaign and assist Cancer Family Care in hiring a social worker for its Treehouse Children’s Services program. The program provides individual and family counseling, support groups, educational programs, and bereavement services to children and youth with a family member battling cancer. Through its partnership with area schools, the Center for Peace Education equips more than 3,000 individuals each year with the skills and experiences needed to appreciate diversity and resolve conflicts. A gift from the Pfau Foundation will help the center increase and improve its program offerings. 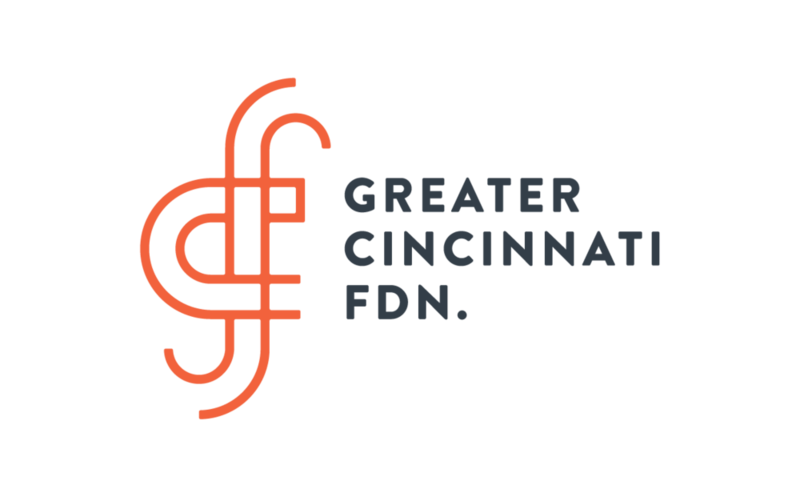 Cincinnati Works is striving to overcome barriers to stable, long-term employment through its Next Step NetWORK pilot project. The project targets young adults who “age out” of the services provided to foster youth in Hamilton County. A gift from the Pfau Foundation will help the Next Step project assist clients in preparing and searching for jobs and retaining those positions once they’ve been secured. Crossroad Health Center provides physical and mental health services to Cincinnati’s low-income families. A gift from the Pfau Foundation will help fund the center’s Counseling Program, which provides services to families and individuals who might otherwise not be able to afford these services. FamiliesFOWARD is a neighborhood school-based family resource center providing math, reading, and science courses as well as arts and music activities to children from Parham Elementary, Bond Hill Academy, and Withrow University High School. A gift from the Pfau Foundation will support the Center’s Academic and Arts After-School Program. In 1998, Holy Cross High School created the Academic Enhancement Program to assist students with limited learning disabilities. A gift from the Pfau Foundation will provide technology upgrades and additional computers for the program. The Interfaith Hospitality Network, a cooperative of religious organizations, volunteers, and social service agencies provides temporary housing and services to homeless families striving to regain their independence. A gift from the Pfau Foundation will enhance the network’s telecommunications capabilities, which are essential for coordinating volunteers and allowing clients to seek employment opportunities. The Madisonville Education and Assistance Center links community resources to disadvantaged individuals and families in Madisonville. A gift from the Pfau Foundation will allow the center to hire a part-time development professional, finance training opportunities for the center’s staff and board, and hire a consultant to help the center develop a five-year strategic plan. Reading for Life seeks to enhance literacy rates in the Greater Cincinnati area. A gift from the Pfau Foundation will help Reading for Life distribute 12,000 copies of When My Mama Reads to Me to young children from low-income families. The books are packaged in Early Learning Kits by Crayons to Computers and given to parents by pre-school teachers, pediatricians, and other nonprofit agencies. The Cincinnati Youth Collaborative strives to see all Cincinnati area youth graduate from high school. A gift from the Pfau Foundation supports the collaborative’s Girls Club Mentoring Program, which comprises teams of women volunteers who meet with and mentor fourth and fifth grade girls after school.